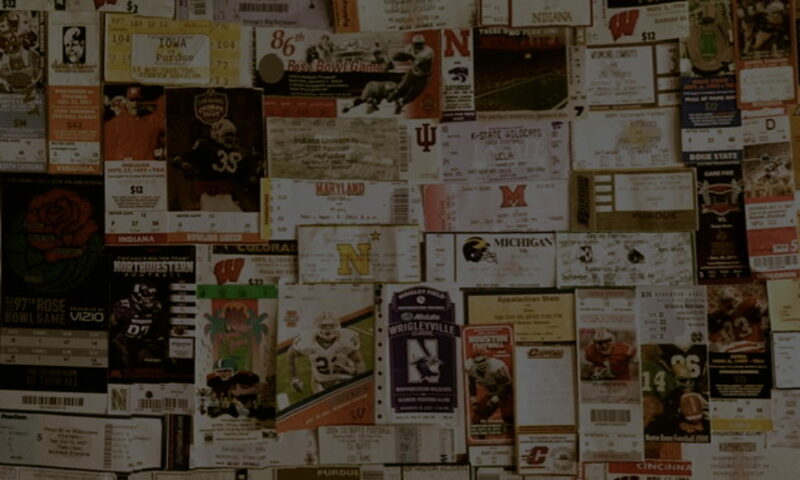 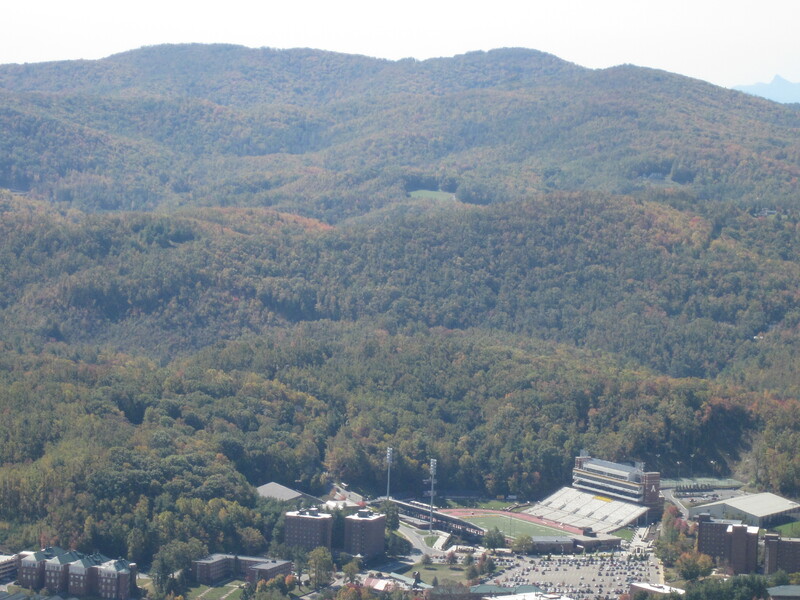 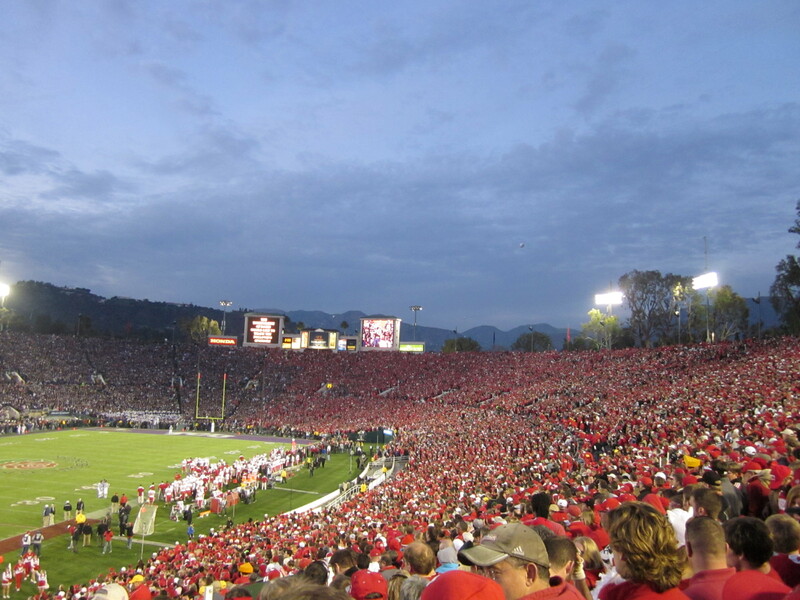 One of the best backdrops for a stadium. 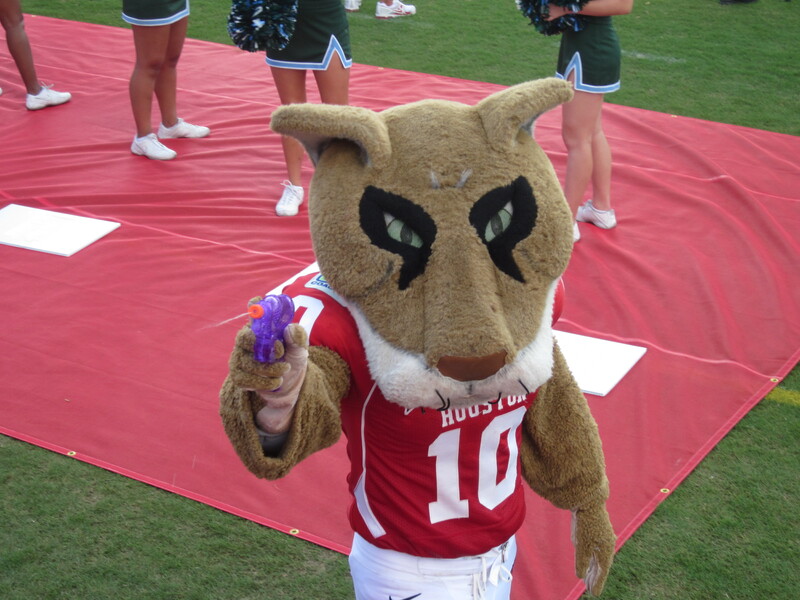 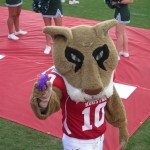 Houston mascot cools down the crowd on a hot day. 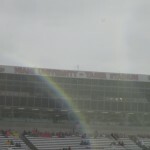 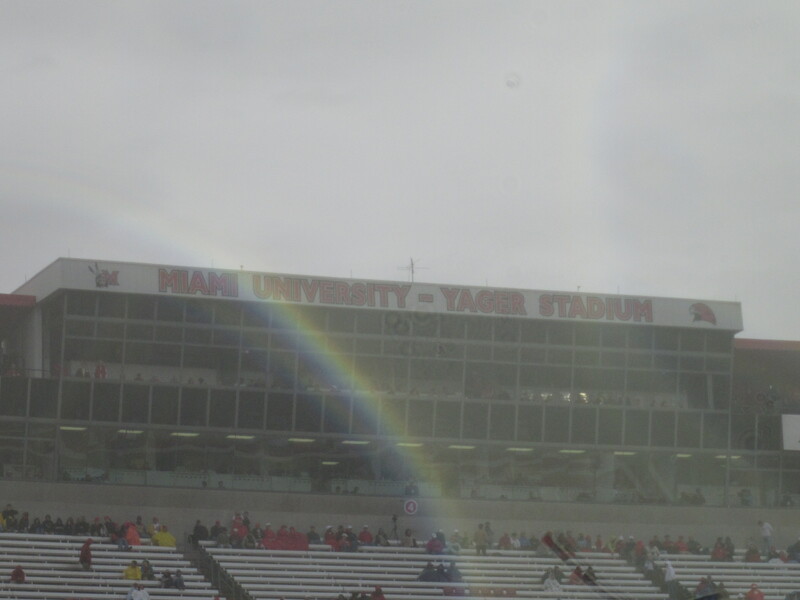 Fans who cleared for the rain missed the rainbow. 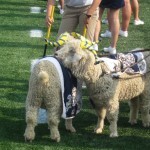 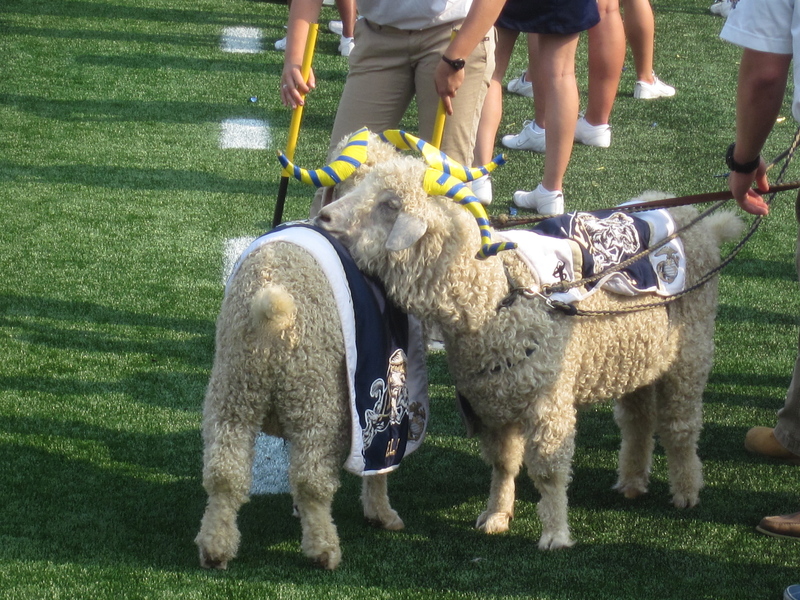 Navy mascots take turns using each other as a pillow. 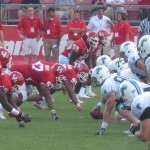 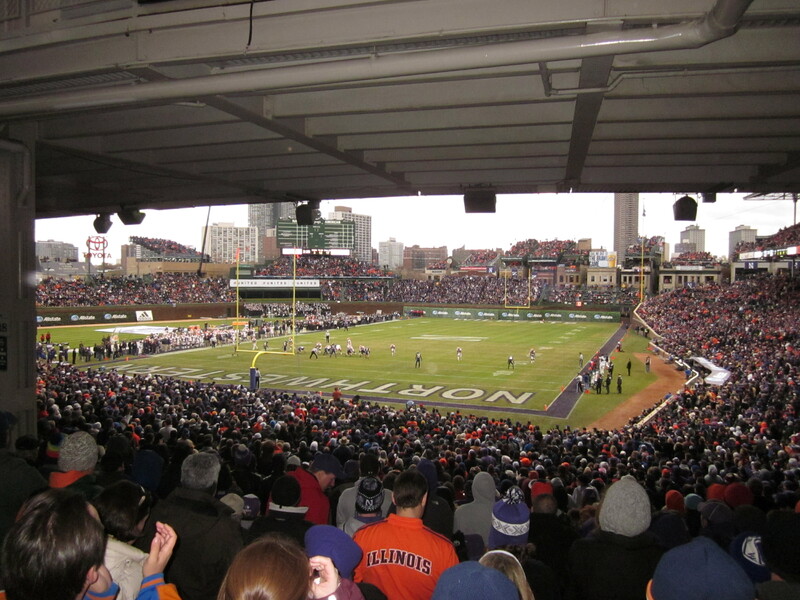 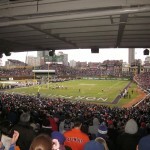 The friendly confines of Wrigley Field host this instate rivalry. 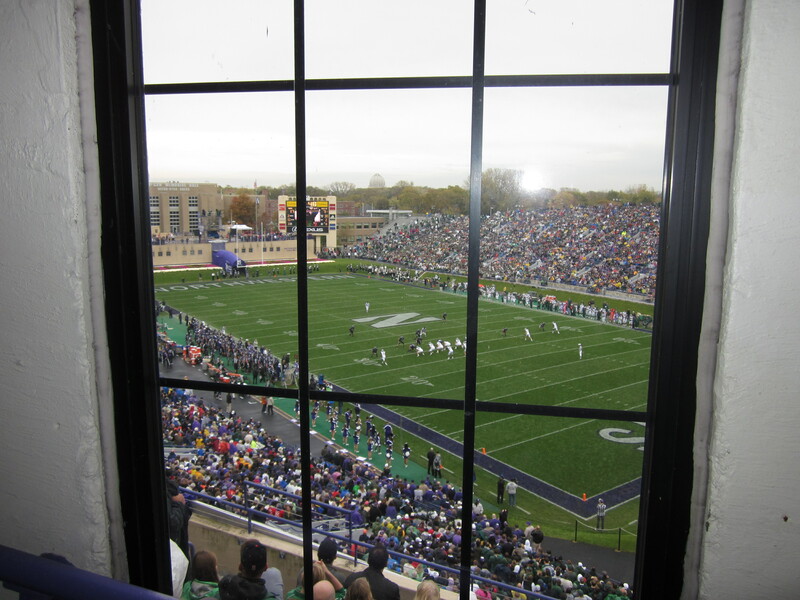 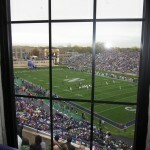 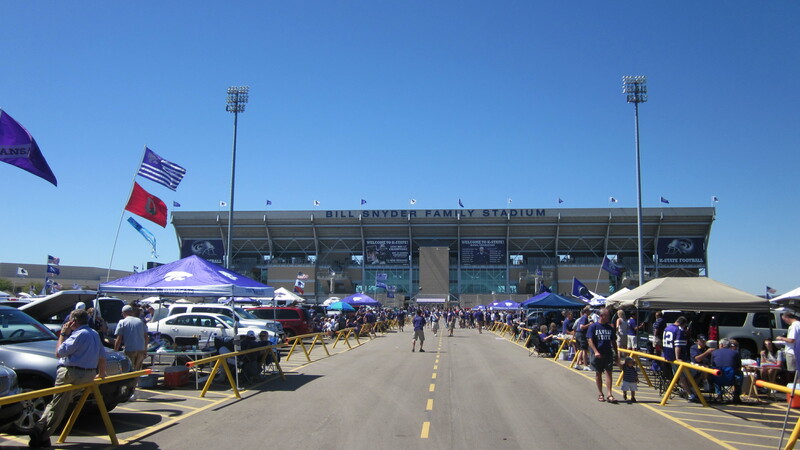 View of Ryan Field from inside one of the towers. 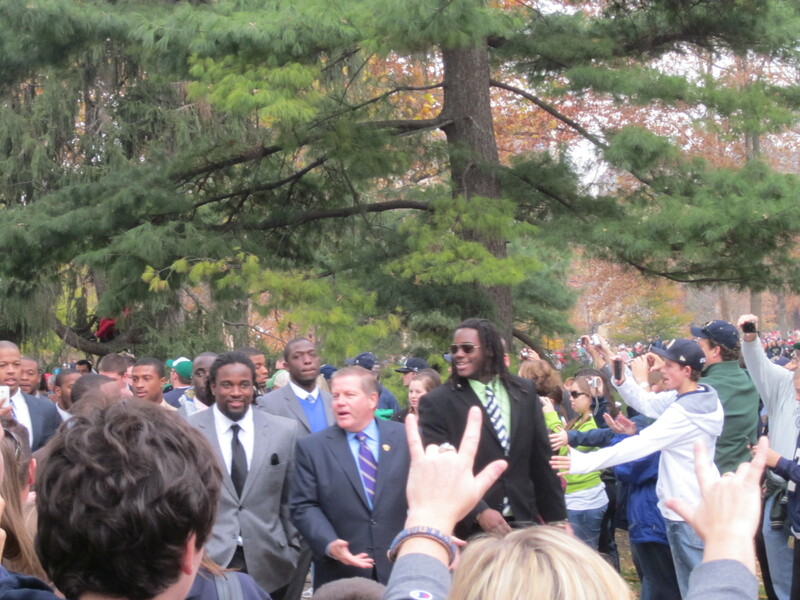 Coach Brian Kelly leads the Irish to the stadium. 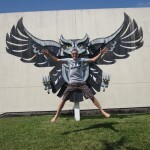 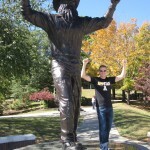 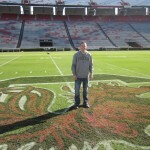 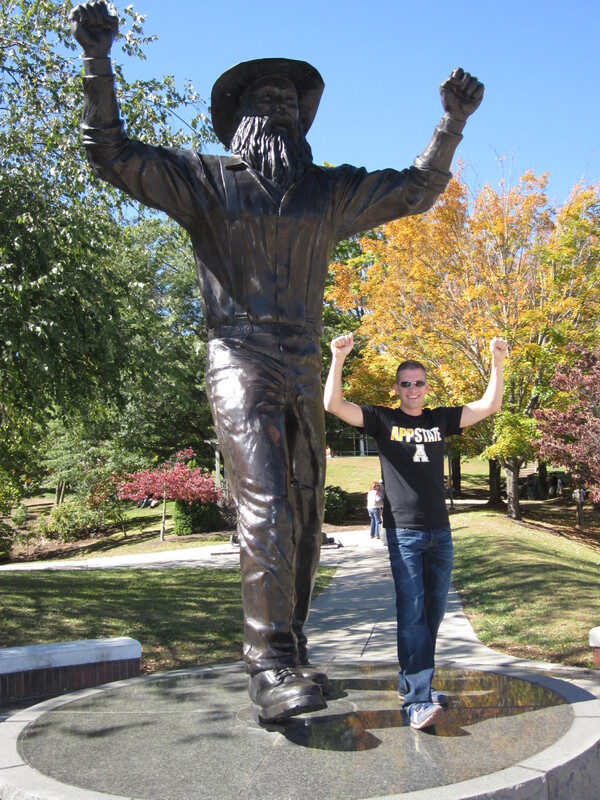 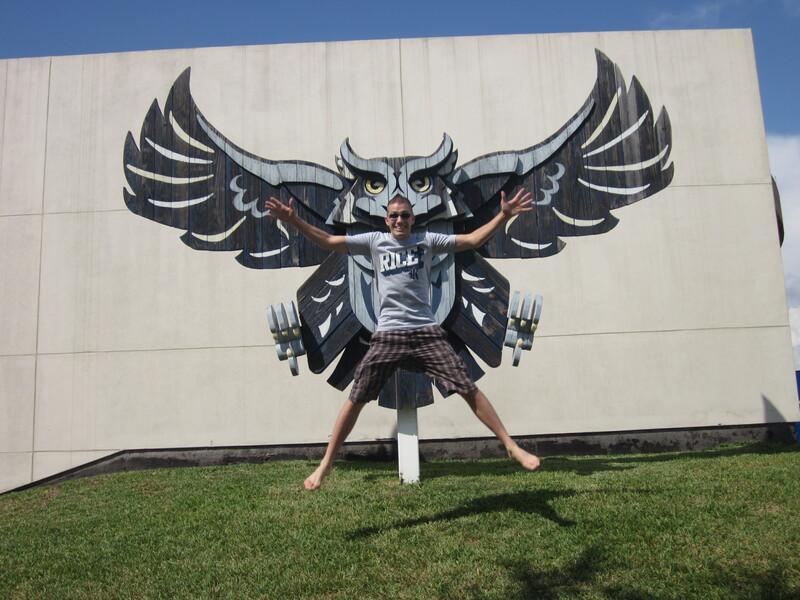 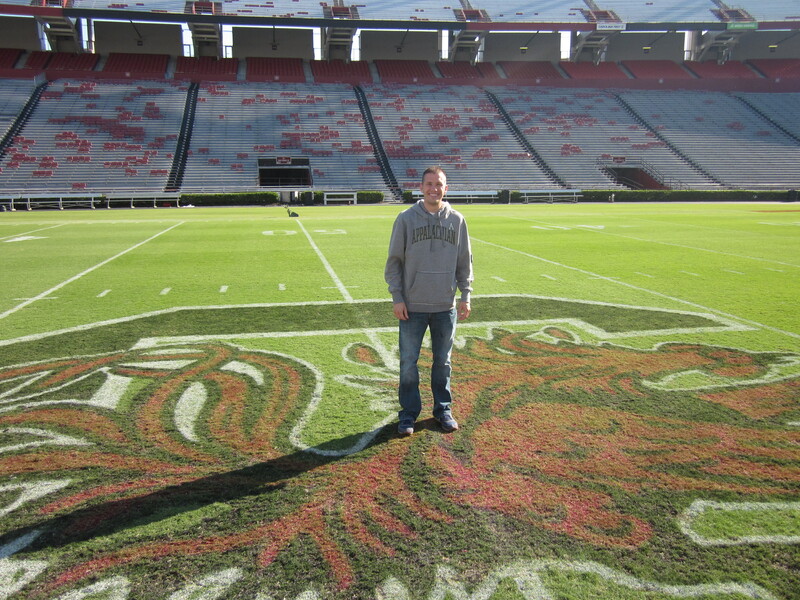 Standing on the Gamecock logo the day after South Carolina defeats #1 Alabama. 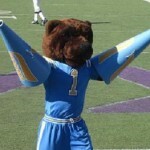 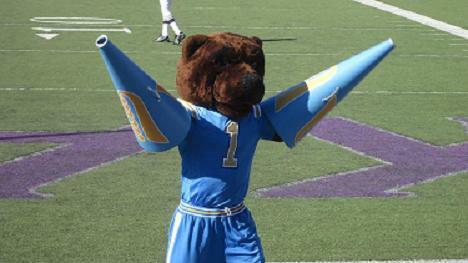 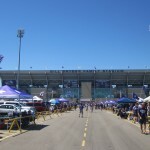 UCLA Bruin entertains the crowd at Kansas State. 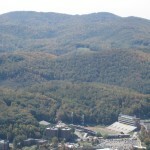 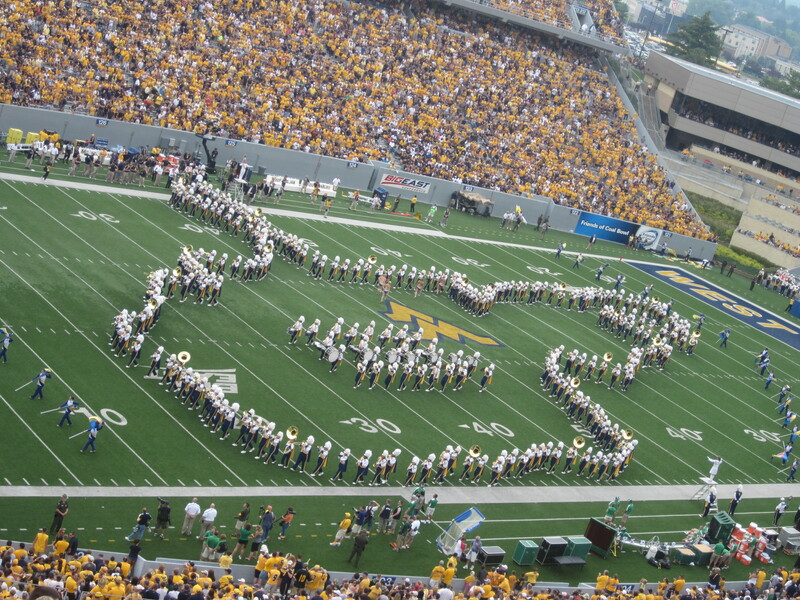 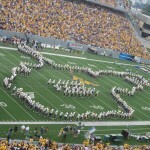 The WVU band forms the shape of the state. 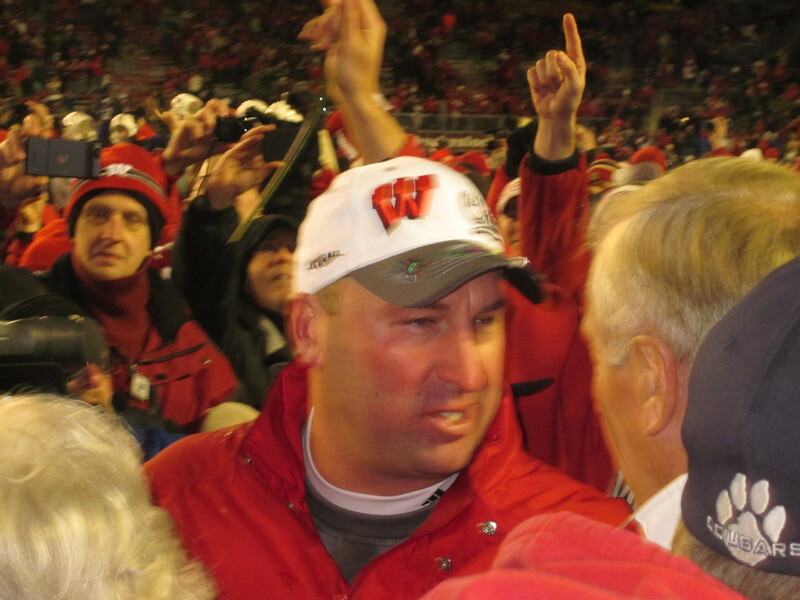 Bret Bielema celebrates a Big Ten title. 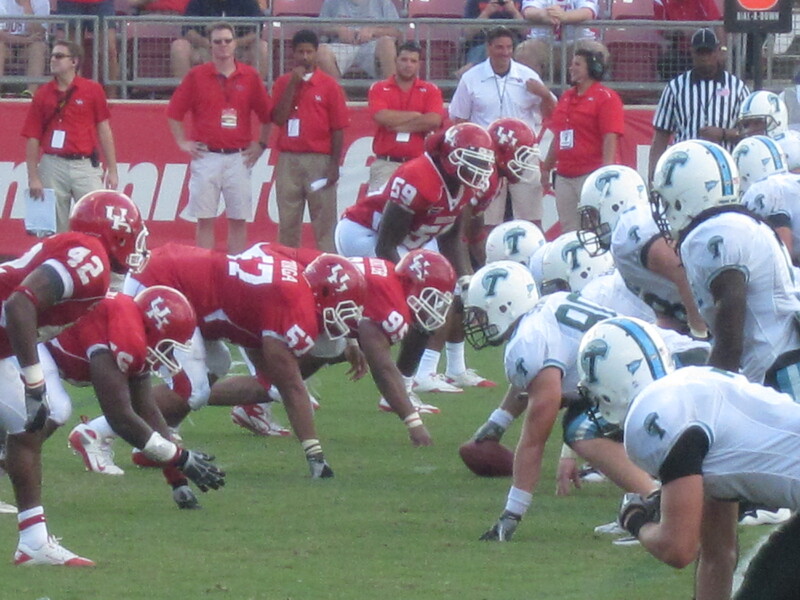 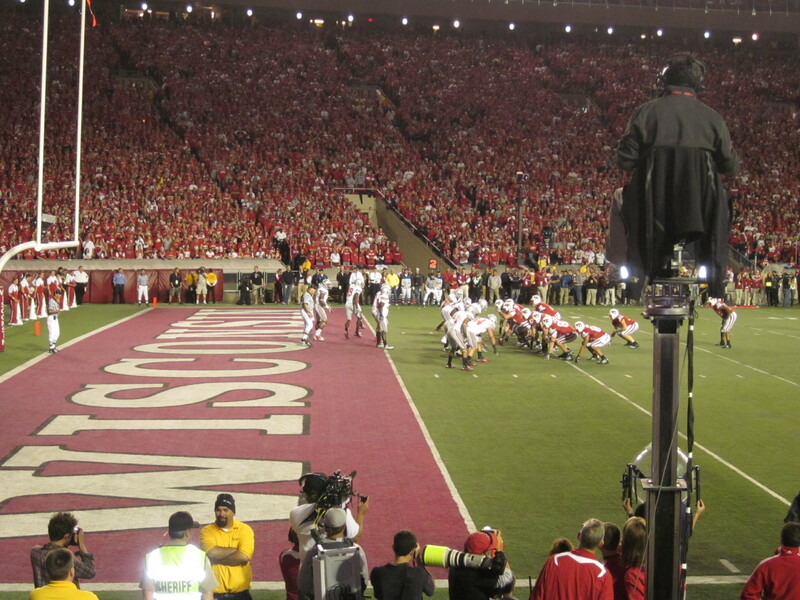 We know exactly what ESPN sees from this angle. 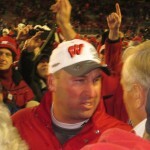 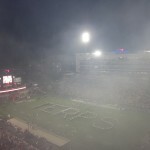 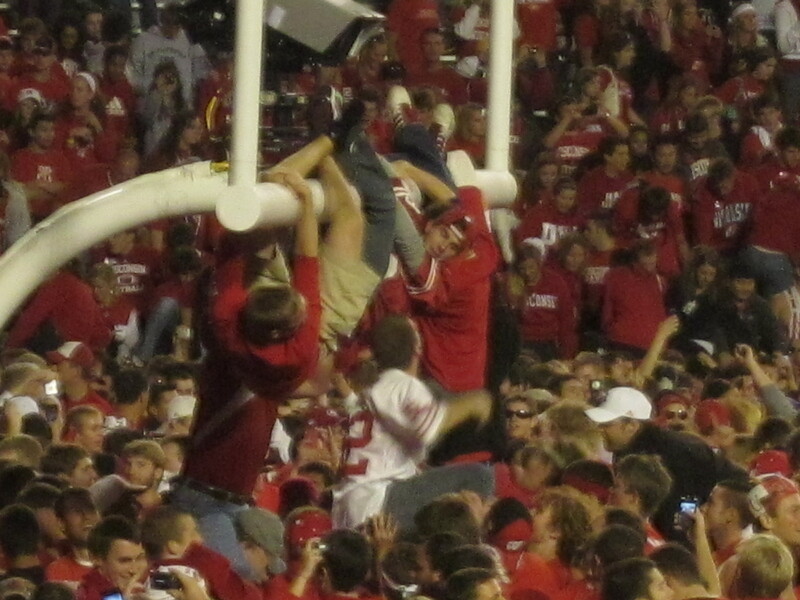 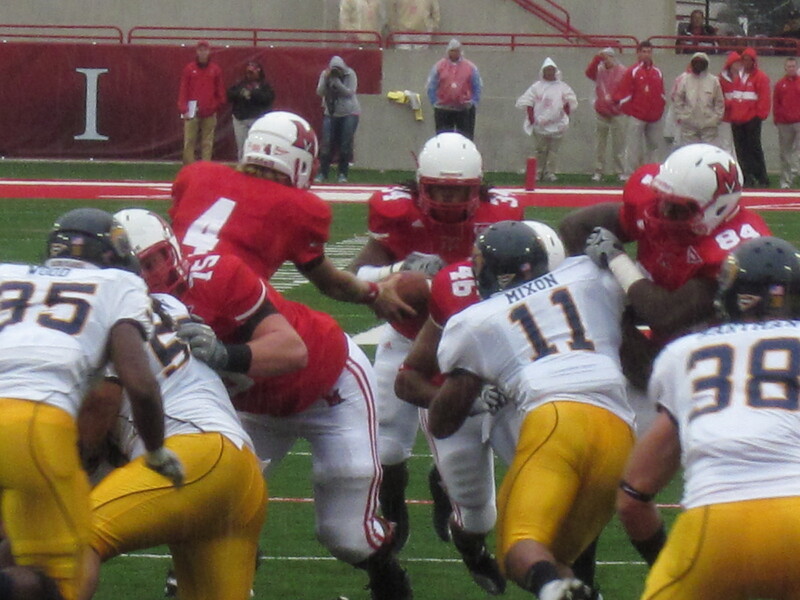 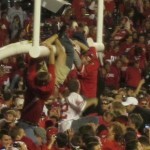 Celebration after the Badgers defeat the Buckeyes. 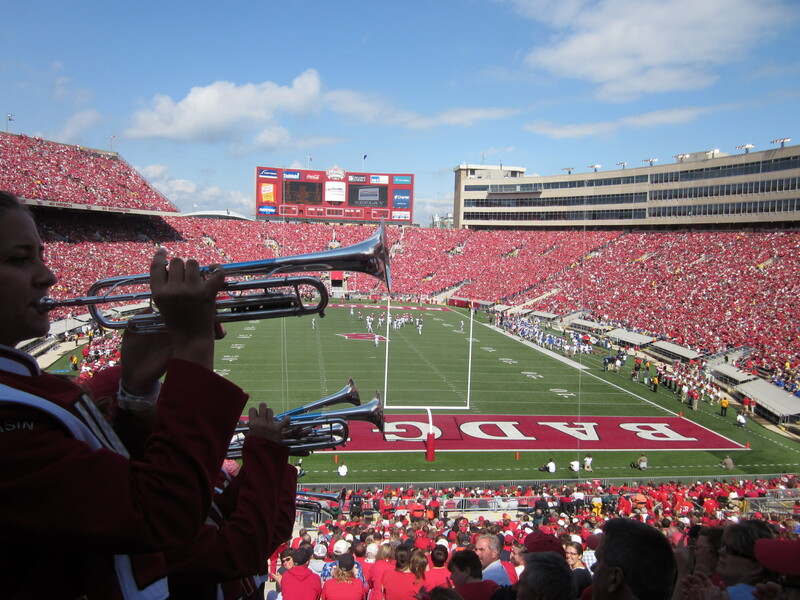 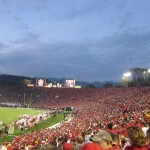 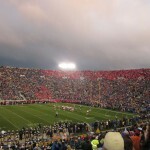 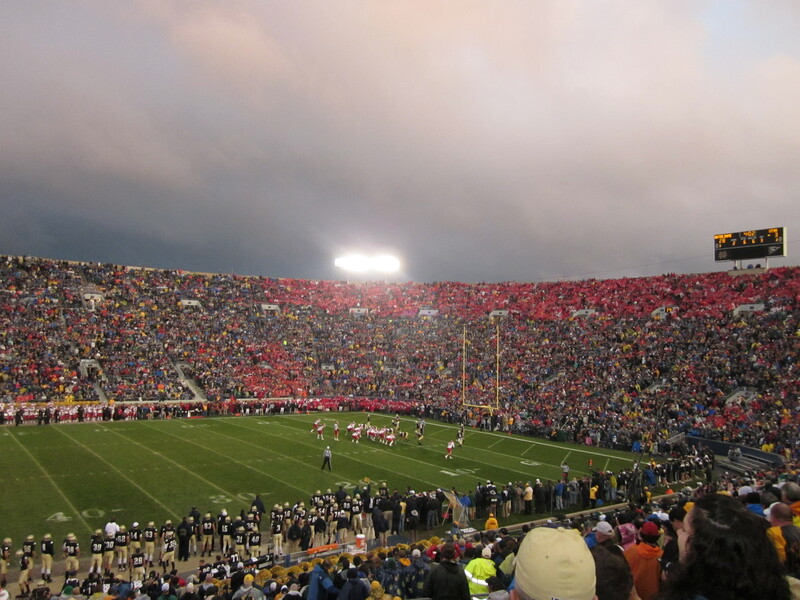 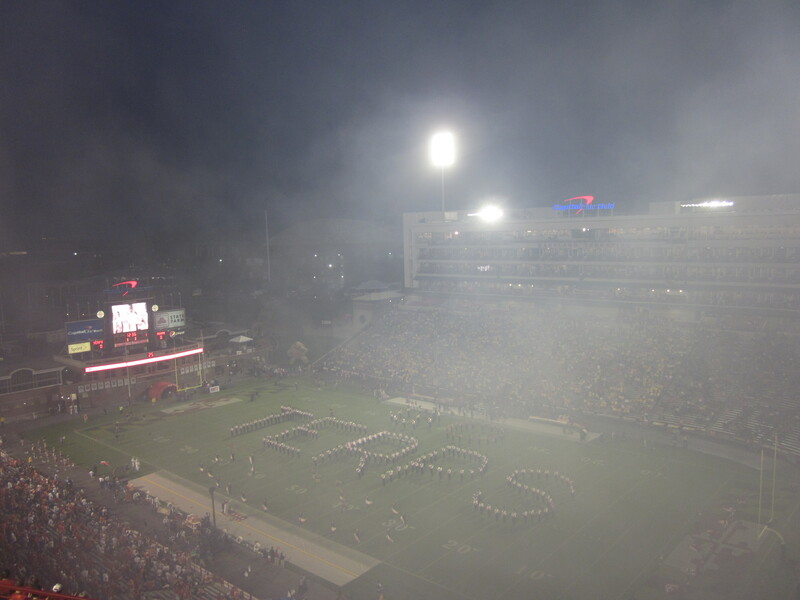 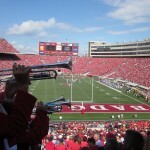 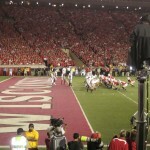 The band visits the crowd at Camp Randall.